According to Statista, 1.25 million accountants and auditors were employed in the USA in 2016. It is predicted that there will be 1.44 million accounting professionals by 2022. The accounting industry in the UK is expected to reach £5 billion in 2018. But let’s forget about stats and answer one question. What does every accountant or a bookkeeper have? A PDF file, at least one document saved in a PDF form. PDF files are simply inevitable in the accounting and bookkeeping industry, especially when you want to protect your documents, to print a document or to send it to your colleague or a client. Although your working document is in a different form, probably .xsl(x), if you want to print your document, to send it to someone else or to secure it, you will save it to PDF first because PDF is the best choice in such situations. 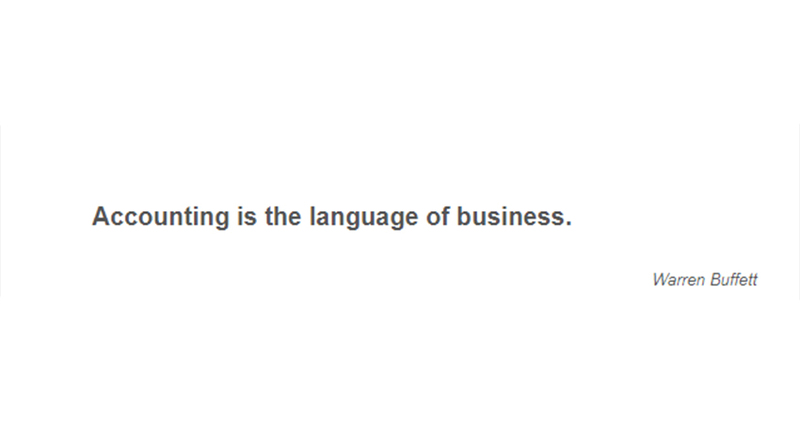 For the same reason, most accounting documents you receive are probably in PDF. If you are working as an accountant, you cannot ignore PDF files. A decade ago PDF technology was very restricted but nowadays, it has been improved enough to start to feel comfortable when dealing with PDF files. To work with PDF files implies using PDF software that is at the same time PDF converter and PDF editor. In the following crash course, we want to give you a helping hand in working with PDF files in accounting and bookkeeping niche. Here you will find everything you need to know to convert PDF to Excel. Depending on your proficiency and the usage of various computer programs, we present three different levels of the course: basic, intermediate, and advanced. You need to convert PDF to Excel when you need to make changes in Excel document that was saved or sent to you in a PDF format. When you convert PDF to Excel you make a working version of the document. This type of conversion is very used among accountants because all these documents such as balance sheets, invoices, audit and payroll reports etc, are made in Excel or other programs similar to Excel and saved in PDF. The easiest way to reuse such PDF worksheets and tables is to convert the file in its original format, xls(x). Apart from xlsx format, many accounting documents are saved in .csv format. In layman terms, csv files also present data in tabular form as xlsx files but csv files hold plain text and numbers whereas xlsx files consist of content, images, charts and formatting (conditional formatting, numbering, coloring and other). So, in addition to PDF to Excel conversion, converting files from PDF to CSV is also a common thing when dealing with accounting documents. 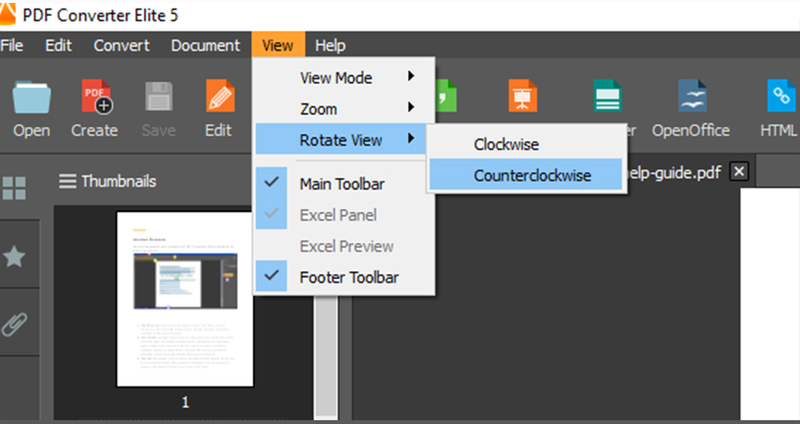 Another very simple trick that everyone can learn is to rotate a PDF file. Financial documents often have different tables and charts and it may happen that you need to rotate a PDF page to view the data in a horizontal position. 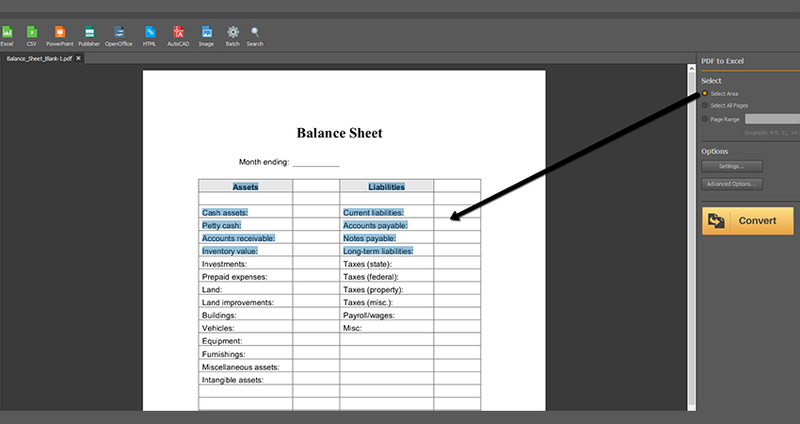 In the following examples we will show you how to turn your invoices and balance sheets, to convert PDF to Excel or CSV. 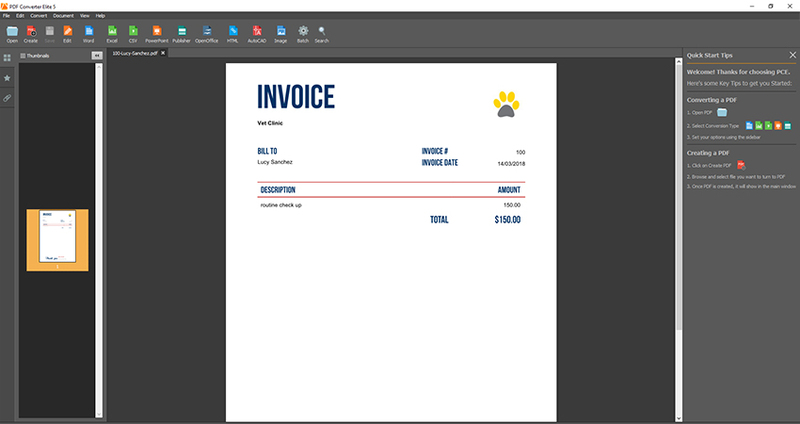 But you can convert any other type of PDF document, not just invoices and balance sheets. 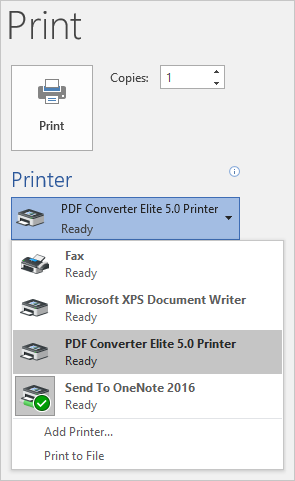 The first step is to start the program PDF Converter Elite and to click the Open button (the first button from the left side of the screen). Then click on the Excel button or CSV , depending on the type of conversion you need. The simplest way is to use buttons on the toolbar, but you should know that you can also choose the type of conversion from the Convert menu, as shown on the images below. When you choose the type of conversion (the output file), a sidebar will appear on the right. In order to activate the Convert button, you need to click on of the three selection options. Select area– choose this if you don’t want to convert the whole document or whole pages, but only a section of one page. After you click on this option, drag the mouse on the document to select the area (check out the video below and the image above). Select All Pages– use this option to select the whole file. Select Page Range– this option is useful when your PDF is huge, and you want to convert only specific pages. To activate this option, type the consecutive page numbers, for instance 5-7. If you want to select only one page, type one number and then press Enter on your keyboard. The last thing to do is to click the Convert button and your PDF file will be converted to Excel or CSV. Another PDF tip at the basic level is rotating PDF files or pages. To rotate PDF file clockwise, you can click on the rotate button which is placed at the bottom of the screen (the footer bar). Many PDF files that contain accounting and financial data are not native PDF files. The reason is simple- a client or a colleague can scan a printed document and send it to your electronically. As a result, you will receive a scanned PDF file. Assuming you’ve passed the basic level, you now know how to convert PDF to Excel or CSV. What do you think would happen if you apply that knowledge to convert a scanned PDF? The file will be converted to Excel, but it would be useless. The scanned image will be turned into another file format, but the content inside that image will still be locked. So, if you want to be able to edit such document, you need to learn how to convert a scanned file by using OCR technology. If you have reached this level of knowledge and comprehended previous PDF management lessons, you will find the following two easy. 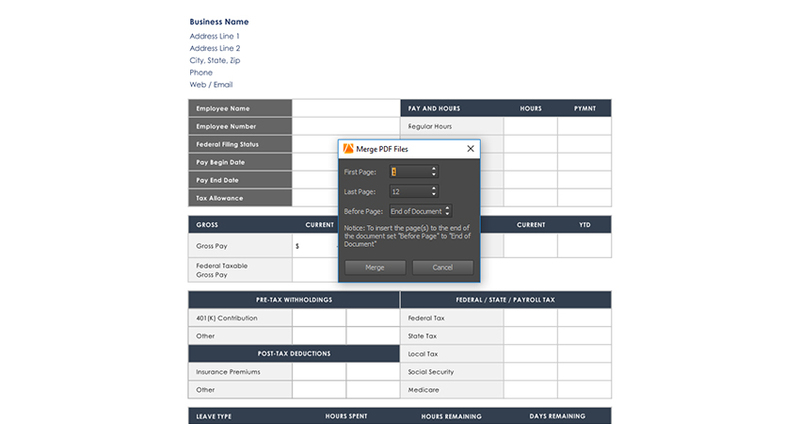 In addition to conversion and PDF editing, PDF merge and split options can be found in many PDF converters. We will teach you how to merge multiple audit reports, payroll reports or other types of documents into one PDF document. 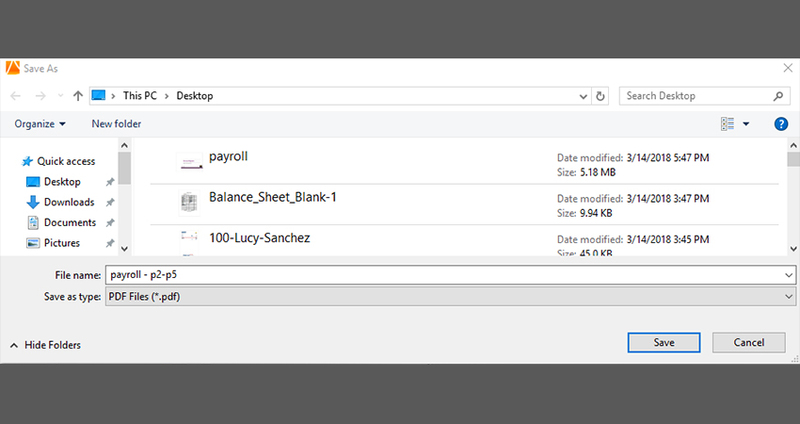 Merging documents is especially useful when you want to have all financial reports in one place. Data analysis becomes much easier and not to mention calculations of financial statements. Although in some situations you need to collect your financial data in one document, in other cases you may need to get rid of unnecessary data. When you learn to split PDF files into two or more smaller files, you will see how quickly you can analyze the tabular data. Scanned PDF conversion involves additional steps prior to those basic PDF conversion steps we discussed at the beginners’ level. 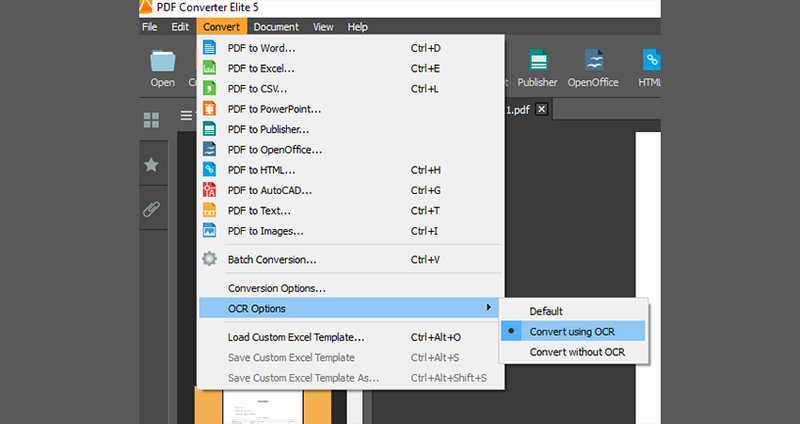 When you open a PDF file in PDF Converter Elite, click the Convert menu and then on OCR Options. Select the option Convert Using OCR. In this way, you activate OCR engine which will extract text from your scanned (image OCR) PDF and you will be able to edit it. Then apply the knowledge you’ve learned at the basic level: click on Excel or CSV, choose select option and convert. To remind you again, you can apply all these features to every kind of document, no matter it is an invoice, an audit report, or a payroll report. We used specifically these types of documents, for the lesson purposes. Start PDF Converter Elite and click the Open PDF to open one PDF file. 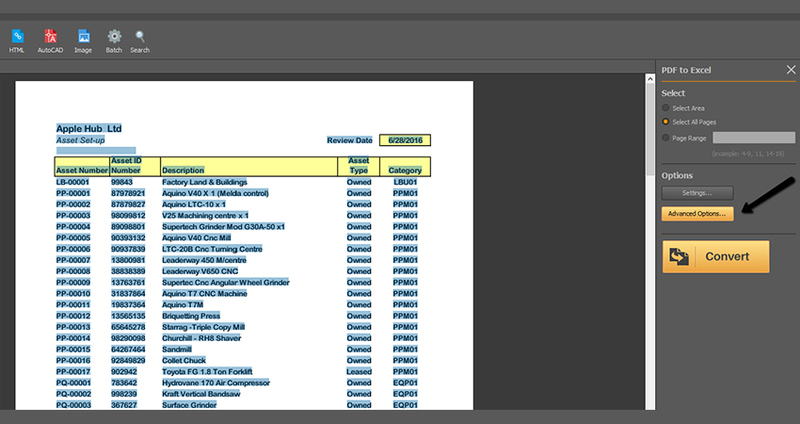 Choose the option Merge PDF Files in the right sidebar. 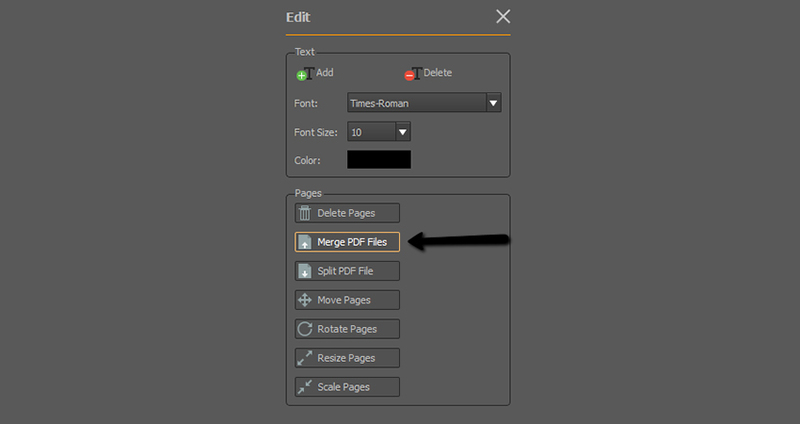 Select another PDF file you want to merge with the first file and click Open. A small window will pop up, as shown on the image below. Type in the fields First Page and Last Page. If you want to merge only one page, type the same number in both fields. Have in mind that all the pages between the first and the last page selected, will be merged. So, in case you want to merge multiple pages that are not consecutive, you need to repeat the process more than once. For example, select pages from 3-7 first and then finish the process. Click the Merge PDF files, select the same PDF to open and type different page number. Under this image you will find the last two steps of merging PDF files. In the Before Page drop-down menu, select the option that suits you best. You can add the pages or the whole document at the end of the first open PDF document. You can also add pages before any other page number. The last lesson at this intermediate level is to learn to split PDF file. Whenever you work with large files full of tabular data and numerous spreadsheets, you can split the file into multiple smaller documents and revise each document separately. This process is like the merge option, you start by opening a PDF file and clicking on the Edit button. 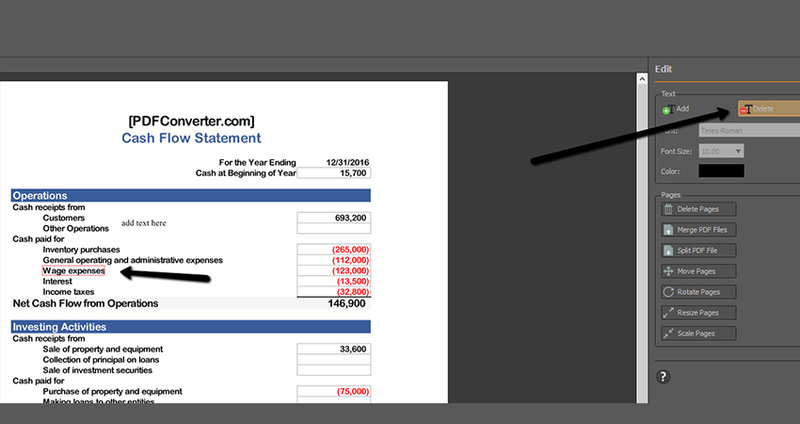 The same sidebar will appear on the right, and under the button Merge PDF files, you will see the button Split PDF File. Upon clicking on that button, you will see a small window with two fields, First Page and Last Page. Like merge, you need to select from what to what page you will split a file and the pages need to consecutive. To finish the process, just click the Split button. Another window will pop up (see the image below), asking you to name the file and choose the location where you will save the split document. You can repeat the split process with the same file repeatedly, to have more than two smaller files. In that case, you need to click the same button again, to open a file and to select the page numbers again. Here we are at the last stage of our PDF crash course. So far you have learned to convert PDF to Excel and CSV, even scanned files, to merge and split PDF pages, and to rotate PDF as well. If you want to acquire full proficiency knowledge of managing PDF documents, you need to learn custom PDF to Excel and CSV conversion as well as PDF text editing. To convert PDF to Excel or CSV with advanced options implies that you manually move rows and columns directly on a PDF, prior to conversion. This trick saves much time because you are preparing your PDF tabular data for conversion and making sure the result is satisfying. 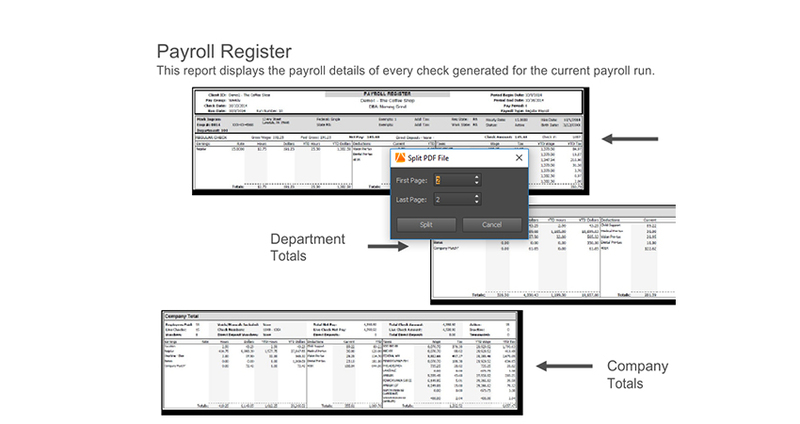 In addition to manual row editing, you can add new or delete existing rows, columns and tables. PDF editing practically means you edit a PDF directly, without conversion. That saves much time but if you need to make a lot of changes or to work with data in Excel, then conversion is a better option. However, it would do no harm to learn to edit a PDF especially when your tabular data only needs small changes. 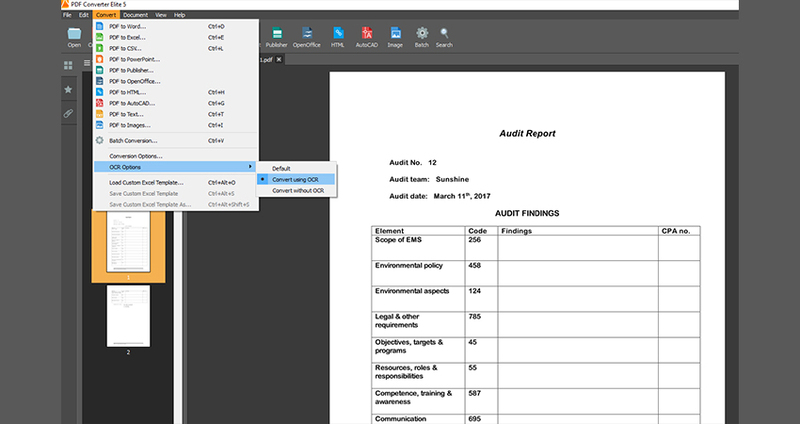 In this last session of this PDF crash course, we will use samples of fixed asset report and cash flow statement to show you how to use advanced features to convert PDF to Excel. Start by opening a PDF, clicking on the Excel button, and choosing the selection option. In case you skipped the beginners’ and intermediate level, PDF Converter Elite offers three selection options: to select the whole file, only certain pages, or the document area. The same way, you can choose to convert file from PDF to CSV instead to Excel. 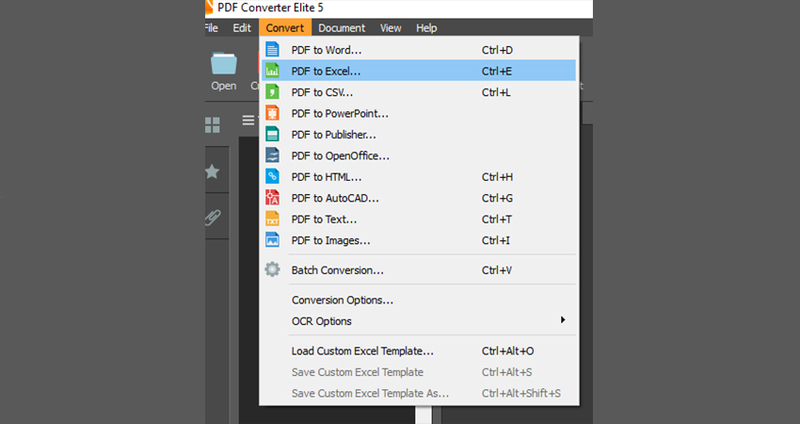 Custom PDF conversion works the same for both output files (Excel and CSV). 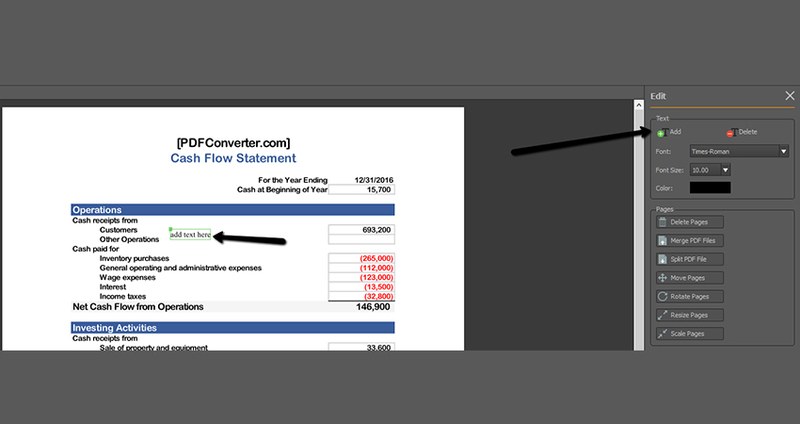 In this example we will show you convert PDF to Excel with customization. 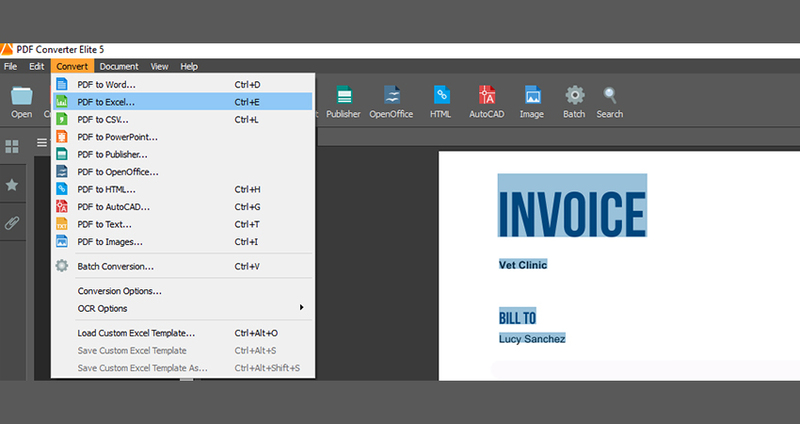 When you choose the selection option, click on the Advanced Options to open custom PDF conversion options. A new sidebar will show up with all the options you need to customize PDF tables prior to conversion. 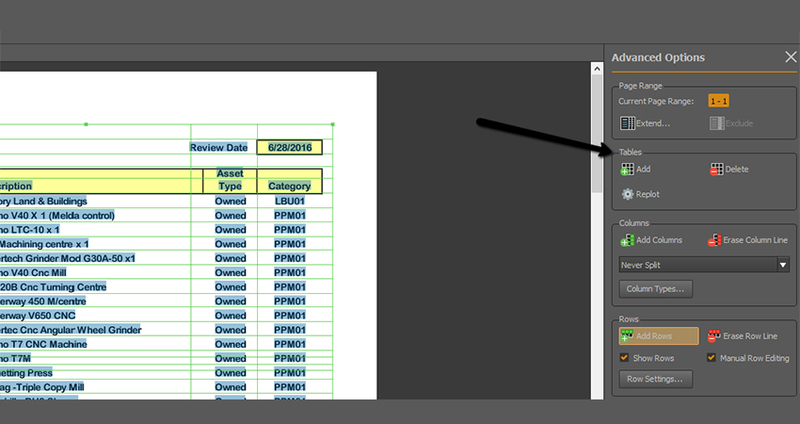 On your PDF document you will see green lines that show the place where the columns are. To add new columns in the document, click the Add Columns button and click on the position in the document where you want to add a column. If you want to remove a specific column, click on Erase Column Line. If you want to move columns, click on the green line in the document and drag the mouse to the position where you want to move it. You can move rows in the same way, making them smaller or bigger (check the video below). To add rows, you need to tick boxes Show Rows and Manual Row Editing to activate the option Add Rows. Click on that option and then on the document where you want to add a row. 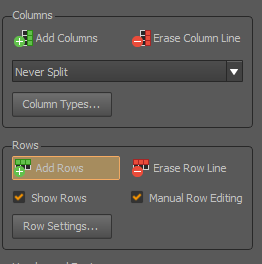 Erase Row Line should be used to remove rows, and in that case first click that option and then the green line (row). If you have a PDF document that presents data without tables, you can make tables. Simply click the Add button in the Tables section of the right sidebar and drag the table on the document. In the example above, you can see that we dragged only a part of this data in order to show you the difference. But you can mark the whole page so all the data fits in one table. If you are not satisfied how much data you included in one table, click on Delete. Then click on the table (green lines area of the document). Finally, when you customize your PDF tables, tick the box Show Preview to check if you are satisfied with the look of your data. To start the conversion, click the Convert button and you will see how better result you can get when you customize tables, rows, and columns before conversion. Open a PDF in PDF Converter Elite and click the Edit button. The sidebar will appear on the right side of the program. Click on Add to add additional text and then on the document, exactly where you want to add additional text. Type what you need and click anywhere out of that field to confirm the changes. As you can notice under the Add option, you can change the font style but also its size and colour. For instance, if you want to add comments to a cash flow statement, you can add text in different colour that will stand out. To remove certain parts of the document, click Delete and then again on the document. You will see the red lines which will show you what part of the sentence can be deleted. The program itself groups the words as one phrase you can remove. Just click on the text to remove it. This PDF editing option helps you make small changes to the document without losing time on conversion. How can I repair damaged PDF files? When you work with scanned PDF files, it may happen that the quality of the scan is poor. Because of that you are not able to get a great result. Sometimes even OCR doesn’t help. To learn about scanned PDF conversion, check the Intermediate level of this PDF course. However, there is one thing you can do to repair the damaged PDF file, or at least to try. Open a PDF in any PDF reader, not converter. Go to File menu, Print options. From the list of printers choose PDF Converter Elite Printer and click the button Print. The damaged file will be “reprinted” and replaced. Now apply your knowledge to convert a scanned PDF to Excel or CSV. Can I resize a PDF file? If you have passed the advanced level, you already know to use Edit options. So, open a PDF, click on Edit and click on the button to resize a PDF file. You don’t need to resize all the pages, only several but consecutive ones. 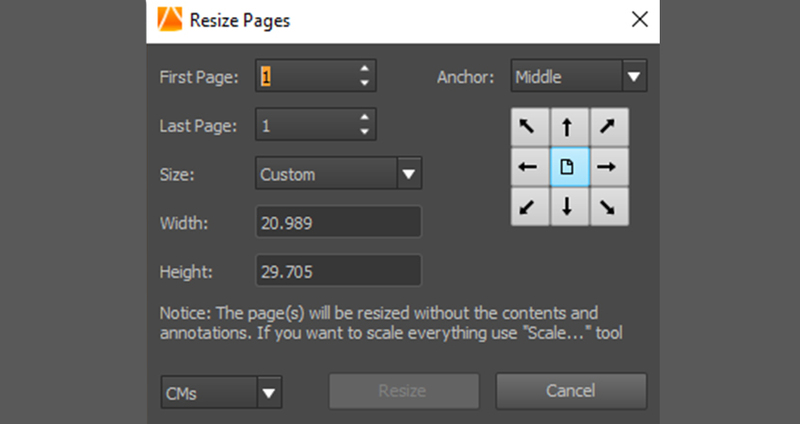 If you need to resize pages that are not consecutive, you need to repeat the process more than once. To resize only one page, type the same page number in the first and the last page field. There are different sizes to choose from. It is setup by default to have a custom size, so you change the values in the width and height fields. Finally, click Resize. Have you find this PDF crash course difficult? We encourage you to share with us in comments what lessons did you find difficult. It is never too late to start learning and if you are working as an accountant, you should learn to manage PDF files. That skill will save you much time and nerves.